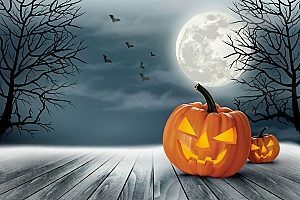 As the fall weather starts to take hold and you find yourself digging out your Halloween decorations and costumes, it seems like an appropriate time to look at some frightening cybersecurity statistics. Before you throw on your favorite ghoulish costume or reread “The Legend of Sleepy Hollow,” take a moment to give yourself a good scare with these haunting cybersecurity stats and projections. The worst part about looking at these sobering statistics is that they seem to get worse every year. In case your company needs encouragement to pay more attention to your cybersecurity measures, please take a close look at this alarming information. 1. According to cybersecurity experts, a cyberattack occurs at least every 30 seconds with about 4,000 ransomware attacks a day (a 36% increase in 2017), and these numbers are projected to get worse. 2. Microsoft predicts that the potential cost of worldwide cybercrime will soon rise to $500 billion and a data breach will cost the average company almost $4 million. 3. CSO makes an even more dire prediction about the cost of cybercrime when adding additional factors to the overall cost including the disruption of business, restoration and deletion of infected data and systems, and reputational damage. Estimating with these additional factors, CSO predicts that the total cost of global cybercrime will increase from $3 trillion in 2015 to $6 trillion in 2021. 4. According to the National Cyber Security Alliance, up to 60% of small and medium-sized businesses that suffer a significant cyberattack will go out of business within six months. 5. 1 in 131 emails contains malware, and Panda security reports that 230,000 new malware samples are being produced every day. 58% of malware attacks are targeted at small businesses. 6. The Ponemon Institute reported that 61% of small businesses reported a cyberattack in 2017, up from 55% in 2016. 7. Microsoft estimates that 63% of all network intrusions and data breaches are because of compromised user credentials. 8. 92% of malware is delivered through email, and Symantec reports that 88% of hacker emails use malicious attachments to deliver their attack. 9. According to the Ponemon Institute, only 21% of small and medium-sized businesses rate their ability to withstand cyberattacks as highly effective with a humbling 81% reporting that hackers have successfully evaded their cybersecurity measures. 10. Javelin Strategy & Research found that the victims of identity fraud in the US increased 2 million to 15.4 million in 2016. This number is projected to increase steadily into 2018. 11. Microsoft estimates that the average cybercriminal spends about 146 days within a network before being detected. Other reports put this depressing figure closer to 200 days. 12. A 2018 Trustware report revealed that 64 percent of organizations have deployed Internet of Things (IoT) devices and another 20% plan to do so within the next year. Unfortunately, only 28% of these organizations considered their IoT security strategy to be “very important,” and more than a third considered it “somewhat important” or “not important at all.” Symantec predicts that there will be 200 billion connected devices by 2020, which will dramatically increase the risk of infections to company networks. 13. 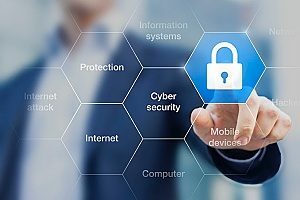 According to the Business Advantage State of Industrial Cybersecurity 2017 report, a staggering 54% of companies surveyed had experienced an industrial control system security incident with the past year, and 16 percent had experienced three or more. These advanced systems are made up of specialized software and hardware that run all types of manufacturing plants as well as sensitive facilities such as nuclear power plants. 14. 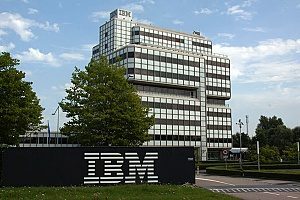 IBM reported that the most rapidly growing cybersecurity threat is from cryptomining, which is malware designed to take over a system’s resources in order to mine cryptocurrency without the victim’s knowledge. These silent cryptomining attacks increased by 600% in 2017. Researchers working for Checkpoint reported that cryptominers had adversely affected 55% of organizations worldwide in 2017. 15. According to PC World, the number of cybercriminals on the FBI’s Most Wanted List has increased from 19 in 2016 to 41 in 2018. The 19 in 2016 were each responsible for consumer losses ranging from less than a million to $100 million. 16. The steadily growing amount of cybercrime will correspondingly increase the need for cybersecurity professionals to deal with these threats. However, according to CSO, the number of unfilled cybersecurity jobs is expected to increase from 1 million in 2016 to 3.5 million in 2021. To sum up how seriously important business people feel about the growing cybersecurity threat, a recent interview with the highly-regarded “Oracle of Omaha,” Warren Buffett, showed his deep concern. When asked to gauge the threat of cybersecurity, Buffett commented that he considered it a greater threat to mankind than nuclear war. In previous blogs, we have detailed many concrete steps your company can take to protect yourself against cyber-attacks. Our most important piece of advice: Consult with an IT Support partner, like Network Depot, to make sure your small business is well protected against cyberattack! Now that you’ve had a chance to examine these depressing, eye-popping stats, we would recommend that you take a little time to decompress. Go ahead: try on your killer costume and enjoy some of your delicious Halloween candy. It can’t hurt!